After months of panicking because I have no idea what September is going to bring I have finally been able to get my head straight and sort things out. My flights, accommodation… I’ve even started thinking about packing!! Last night mum and I worked out exactly when we’re going to fly! We’re leaving on Wednesday the 17th September and then on Saturday mum will leave me all alone – that’s a pretty scary thought! Actually, a scarier thought is how on earth I’ll fit 8 months of stuff in one hand luggage and 2 hold bags!! To get home from Notts this summer I filled a van so this’ll be a challenge. I have also confirmed accommodation! I’ll be living in a 4 bedroom flat 20 mins out of the city with 2 guys and another girl. One guy I don’t know anything about but the other two are biology students from the University of Alicante so I’m glad that I’ll be living with people my age. Packing; Something I’m somehow very good at yet hate so much. I have so many clothes that I’m not sure how I’ll cope with a 50kg weight limit… I need beach stuff, work stuff, casual stuff, “winter stuff” (with lows of 7 degrees in the day at least big jumpers won’t take up much space!) as well as toiletries, books and other essentials! Because I work at The Roald Dahl Museum, my school has asked if I can bring anything for them so I have purchased 3 books (available at http://www.roalddahl.com/shop) and I have kindly been given another book and several craft activities (cheers Holly & Ben!) so I’m looking forward to handing them over to my school in a few weeks. 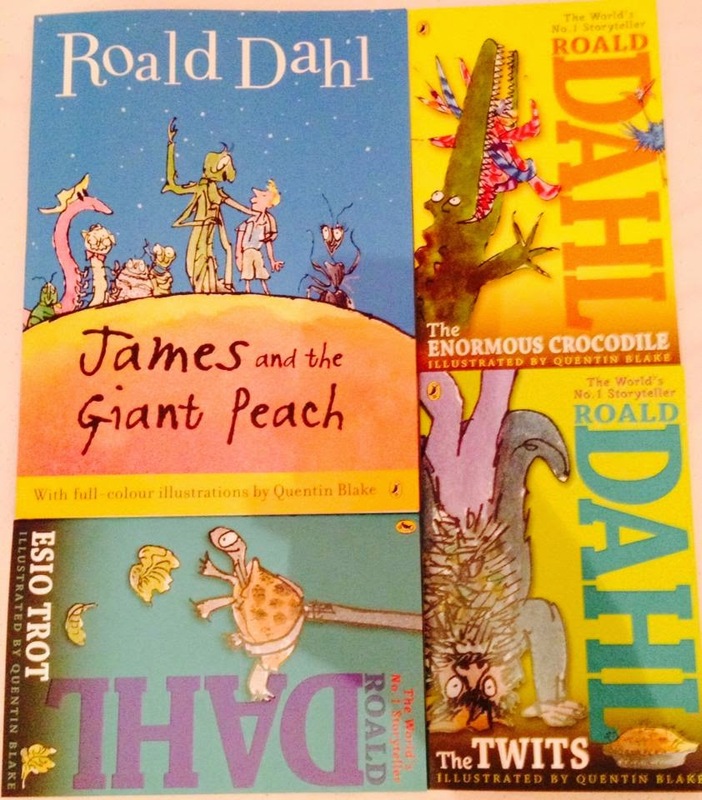 I know that Roald Dahl is internationally well known and his books have been translated to 34 different languages, including Spanish, but I have no idea if the children I’ll be teaching will know him or not… They will by the end of the year! Travel Essentials. Passport, EHIC, sun cream, adapter plug and extension cable, luggage scale. Teaching Essentials. The Practice of English Language Teaching, Teaching Tenses, notepad, coloured paper and coloured pens. Beach Essentials. Towel, beach ball, variety of bikinis! As well as essential toiletries – I’m sure I’ll need a lot of moisturiser with all the sea, sand and sun! That’s my updates for now! There’s not much else I can do until I arrive in Spain so I’m free to enjoy my birthday week next week! 21 oh my god I’m getting old…. El noche pasado, mi madre y yo resolvimos cuando vamos a volar! Estamos saliendo miércoles el 17 de septiembre y en el sábado, mi madre volverá a Inglaterra y estaré solo – es una idea escalofriante! En realidad, una idea más escalofriante es que necesito poner todas mis cosas en una maleta de mano y dos maletas por el avión! Para volver a mi casa por el verano necesité una furgoneta así sería un reto. También he confirmado alojamiento! Voy a vivir en un piso con 4 dormitorios de 20 minutos fuera de la ciudad con 2 chicos y una otra chica. Un chico no sabe nada, pero los otros dos son estudiantes de biología de la Universidad de Alicante, así que estoy contento de que voy a vivir con gente de mi edad. Embalaje; Algo que me da muy bien todavía odia tanto. Tengo tanta ropa que no estoy seguro de cómo voy a hacer frente a un límite de peso de 50 kg … Necesito cosas de playa, cosas de trabajo, cosas casual, “cosas de invierno” (con mínimos de 7 grados en el día por lo menos gran jumpers no ocupará mucho espacio! ), así como artículos de tocador, libros y otros artículos esenciales! Porque trabajo en el Museo de Roald Dahl, mi escuela me ha preguntado si puedo traer algo para ellos, así he comprado 3 libros (disponibles en http://www.roalddahl.com/shop) y se me ha dado amablemente otro libro y varias actividades artesanales (Gracias Holly y Ben!) así que tengo muchas ganas de entregárselo a mi escuela en unas pocas semanas. Sé que Roald Dahl es conocido internacionalmente y sus libros han sido traducidos a 34 idiomas diferentes, incluido el español, pero no tengo ni idea de si los niños estaré enseñanza conocerlo o no… Lo harán a finales de año ! Fundamentos de viaje. Pasaporte, Tarjeta Sanitaria Europea, crema de sol, el enchufe adaptador y cable de extensión, escala para el equipaje. Fundamentos de Enseñanza. The Practice of English Language Teaching, Teaching Tenses, bloc de notas y bolígrafos de colores. Fundamentos de la playa. Toalla, pelota de playa, una variedad de bikinis! Además de artículos de tocador necesarios – Estoy seguro de que voy a necesitar un montón de crema hidratante con todo el mar, la arena y el sol! So are you fluent?! No. Growing up and saying goodbye! I'm a 24 year old adventurer who started this blog like an open travel diary in 2014. It started with just Spain where I was working as an English language assistant but then expanded into Europe and then South America and the world! I am currently working as an au pair in Paris and I will be blogging about my attempts to learn as much as possible about French language, culture and cheese. I hope you enjoy my blog! Enter your email address to subscribe to my blog and receive notifications of new posts by email. No spam, I promise!